The Institute was established in the year 2007 within the campus of Sagar Group of Institutions for conducting 04 years degree programme “B.Pharm” of Dr. A.P.J. Abdul Kalam Technical University, Lucknow. It has Core Group of faculty members entrusted with imparting quality education. For practical training of students the institute is maintaining 10 laboratories for different subjects (Pharmaceutics-3, Pharmaceutical Chemistry-3, Pharmaceutical Analysis-1, Pharmacology-1, Human Anatomy and Physiology-1 and Pharmacognosy-1) besides Central Instrumentation Laboratory, Computer Laboratory and Machine Room. All the laboratories are well equipped as per norms of Pharmacy Council of India. An ultramodern Tissue Culture laboratory has also been established for micro-propagation of medicinal and aromatic plants for training the students in this fast emerging area of technology. The library of the institute is having around 5000 text and reference books and is subscribing to national and international journals. The institute has also started publishing its own half yearly journal “Indian Journal of Pharmaceutical & Herbal Research”. 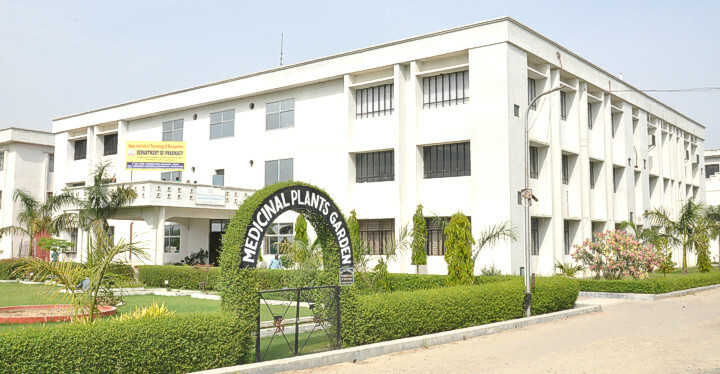 The institute is also having a demonstrative Medicinal Plants Garden where a large number of seasonal, annual and perennial medicinal plants are being maintained out of which several have been declared as threatened or endangered. A separate laboratory has also been established for conducting R&D work for development of new herbal drugs and cosmetics for the treatment of various diseases. The efforts made by the faculty and students of the institute have resulted in development of a number of formulations for enhancement of memory, physical endurance and immunity and several herbal cosmetics for various skin conditions. In order to strengthen the relation between public and pharmacist, the students of the institute visit different villages under Community Health Care programme for increasing awareness about common diseases through local available herbal remedies. Placement cell of the institute is looking after training and placement in different pharmaceutical companies.